Not all protein sources are equal. Here are the most common protein sources explained. Real meat is highly palatable, but lower in protein density than meat meal. 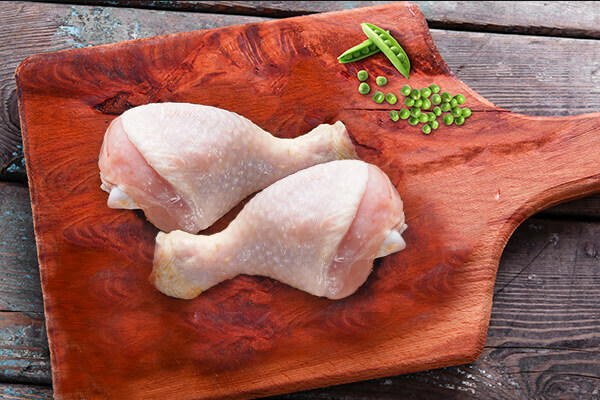 Meat meal is a concentrated protein source derived from cooking away water and some of the fat from real meat. Plant protein is made by removing the starch components of either grains or vegetables. Plant proteins are highly digestible and rich in some essential amino acids to provide a complementary amino acid profile to animal proteins. 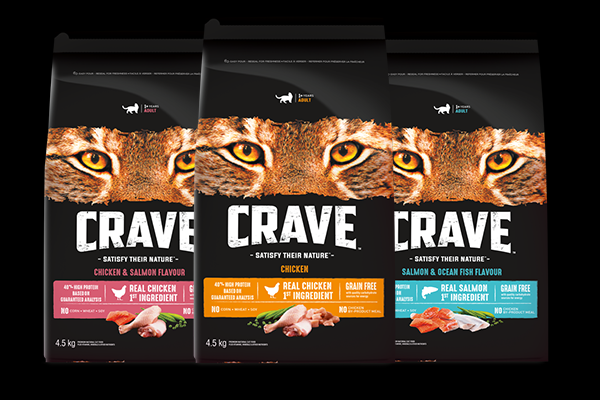 With 40%* protein, CRAVE™ cat food is inspired by a cat's natural diet. Real meat** is the first ingredient and these protein-rich recipes provide cats with energy and supports lean bodies. 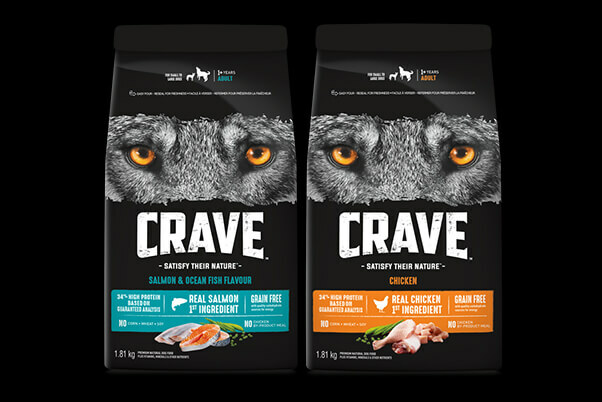 Find the CRAVE™ cat food that is right for your cat. **Meat is defined as poultry or fish. When you go grocery shopping, you read the nutrition labels on food packaging to help you decide what you want to buy. But the nutrition label on your cat’s food might look complex and difficult to understand by comparison. Read this guide to help you understand what you’re looking at.